Michael St. James is the principal of St. James Law, P.C., and has more than three decades of experience in the business insolvency specialty. 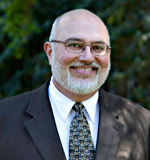 Michael St. James handles every case personally, providing dedicated and responsive representation for each client. Board Certified — Business Bankruptcy: St. James has been certified in Business Bankruptcy by the American Board of Bankruptcy Certification continuously since 1993. This is the only national body certifying specialists in bankruptcy, and employs rigorous initial testing and re-certification standards. As of the beginning of 2013, only 33 attorneys in California, and only 486 in the nation, have received this certification in Business Bankruptcy. Legal Specialist in Bankruptcy: St. James has been certified as a Legal Specialist in Bankruptcy by the State Bar of California continuously since 2006. The State Bar also employs rigorous initial testing and re-certification standards. As of the beginning of 2013, only 124 attorneys had been certified by the State Bar as Legal Specialists in Bankruptcy. St. James has been identified as a “Super Lawyer” continuously since 2006. Super Lawyers selects the top 5% of the lawyers in each State using independent research and peer evaluations. St. James has been identified as a “Best Lawyer” continuously since 2007. Best Lawyers selects the top lawyers in each specialty area based on peer reviews. In 2012 St. James Law was identified in “Best Law Firms,” a joint effort of Best Lawyers and U.S. News & World Report which uses multiple research components to rank law firms that excel in particular practice areas. Michael St. James has been awarded a “Superb 10” from Avvo, the highest available rating. Avvo is an unbiased lawyer evaluation service which relies on a number of different factors to rank lawyers. Michael St. James has maintained an AV “pre-eminent” rating from Martindale Hubbell for more than 30 years. St. James has published numerous articles on issues related to business bankruptcy and insolvency, and is a sought-after lecturer on issues of bankruptcy law. St. James is a member of various bar associations, including the American Bar Association (member, Corporate, Banking and Business Law Section; Business Bankruptcy Committee, Chapter 11 Subcommittee), the American Bankruptcy Institute, the California State Bar (member, Business Law Section, Insolvency Law Committee), the Bay Area Bankruptcy Forum and the Bar Association of San Francisco (member, Commercial Law and Bankruptcy Section). St. James holds a B.A. (1977) from St. John’s College, Annapolis, Md. in Humanities (Great Books), and a J.D. (1980) from Boalt Hall School of Law, University of California, Berkeley. St. James served as Law Clerk to the Honorable Lloyd King, Chief United States Bankruptcy Judge, Northern District of California (1980-82). He then worked with Phelan, Stuppi, Sorenson & McQuaid (1982–84); Dinkelspiel & Dinkelspiel (1984–88) and Rosenblum, Parish & Isaacs (1988–2000) before founding St. James Law in 2000. Michael St. James is recognized for his expertise and abilities in bankruptcy and insolvency law, and the representation of creditors, landlords, purchasers and debtors in work-outs and Chapter 11 reorganizations.